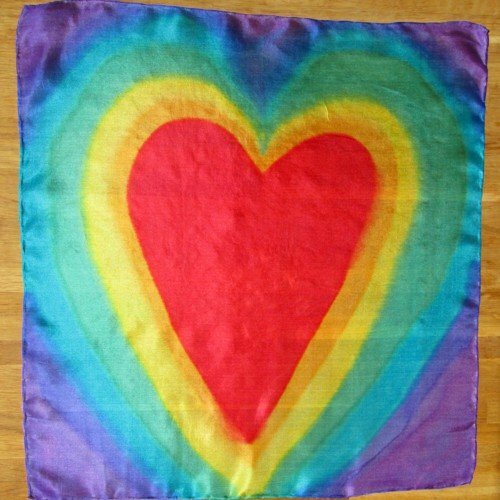 Chakra silk scarf rainbow hearts. 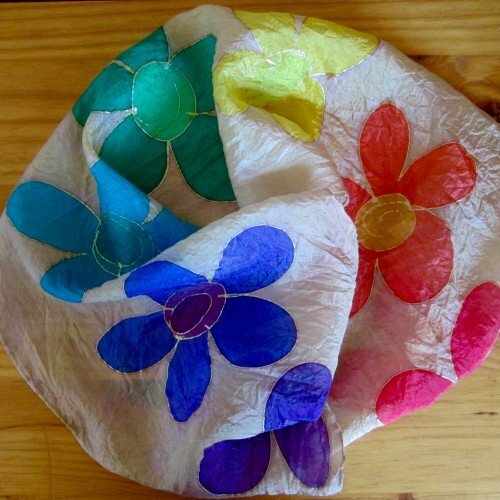 First of all, I hand paint gold coloured or silver coloured paint on to pure silk. Then I paint the seven vibrant chakras colours. 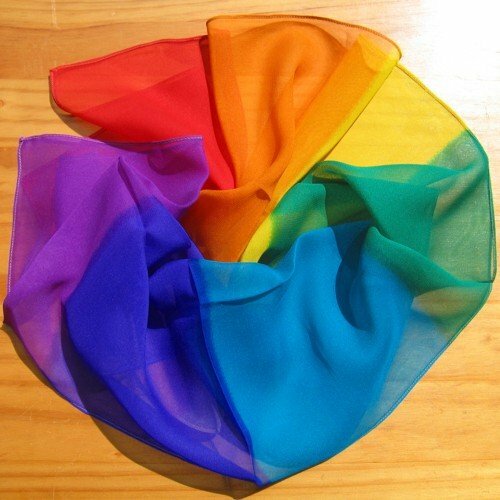 The silk used is a lightweight, slightly shiny pongee silk. As a result, each scarf is super soft and a pleasure to wear. 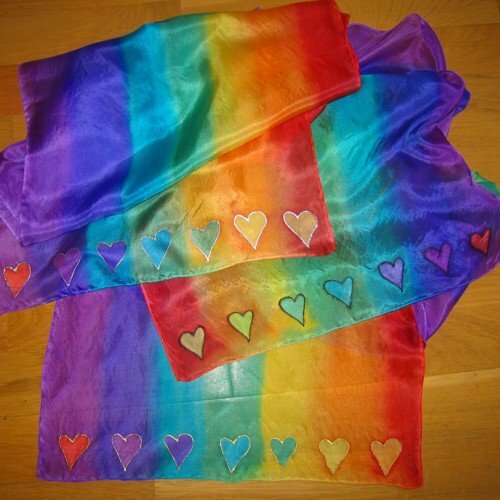 Your ” chakra silk scarf rainbow hearts” measures approximately 28×110 cm/ 11×43 inches. 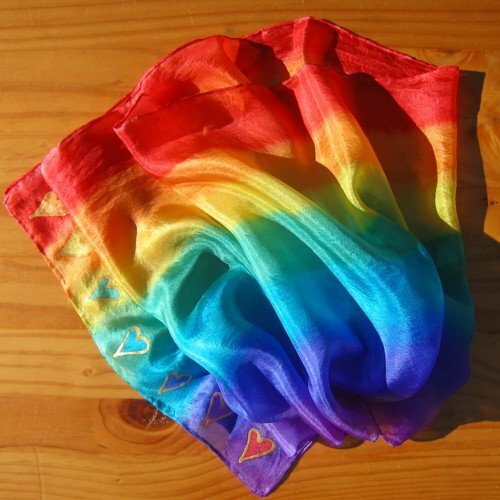 While clients enjoy wearing these chakra scarves, they can also be used in holistic treatments. Likewise, meditate with the colours. Also, you can use this in chakra, colour, crystal healing, hot stone therapy and other holistic and beauty treatments. Order gold coloured hearts or silver coloured hearts.